As promised, I’m writing about the Girls Gone SciFi tour stop in Jackson, MS last Monday. The tour included authors Tamara Ireland Stone, Lauren Miller, Jessica Brody, and Jessica Khoury. 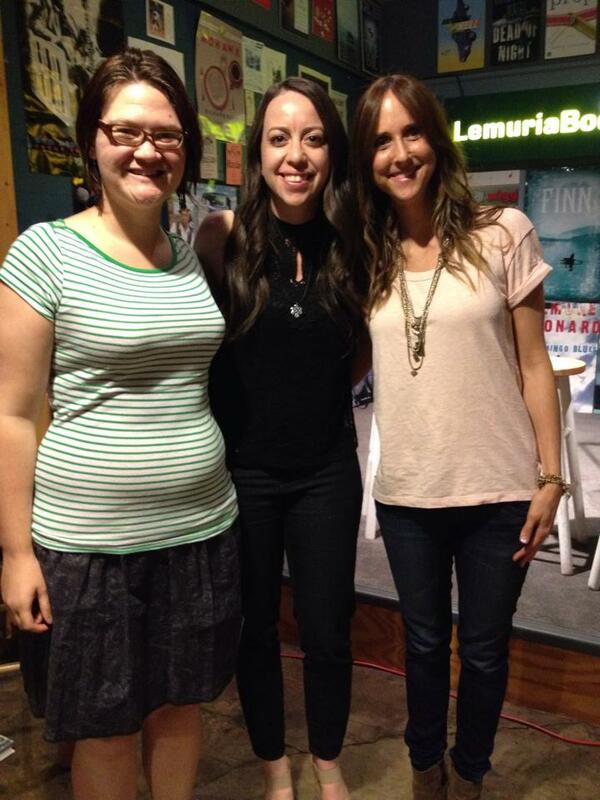 I loved Tamara and Lauren’s books last year, so I was looking forward to the event. I’ve since read Unremembered by Lauren Brody and am eager to read Book 2 and also read Khoury’s books. 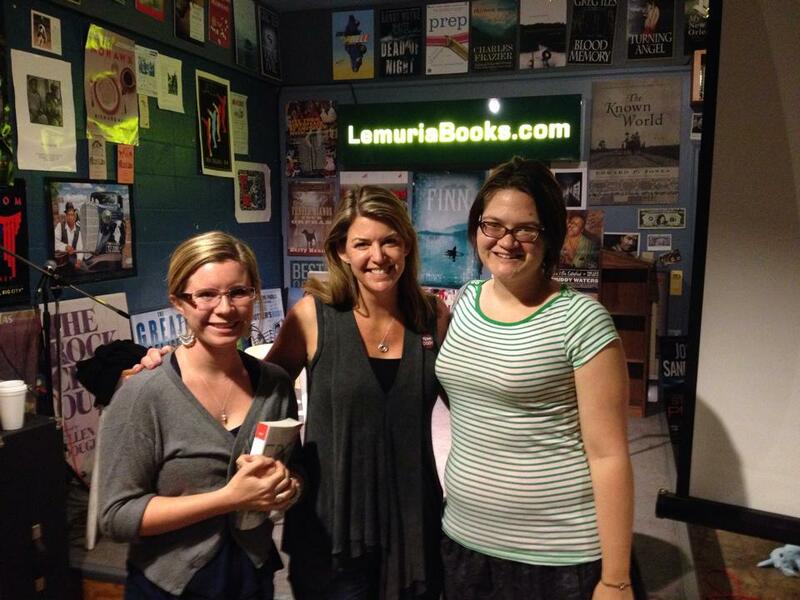 The tour hit Lemuria Bookstore in Jackson, a 30 minute drive for me on a Monday night, but I was still excited. The crowd wasn’t very large, but again, it was a Monday night. My friend Dawn went along as I’d talked her into reading Time Between Us awhile back. Upon arrival, we purchased the books we needed (we both had a couple on our kindles already). Then, we settled in for the chat. I got this book several weeks ago in anticipation for attending the Girls Gone Sci-Fi tour. The summary sounded interesting, but I just didn’t get a chance to read it before I went to the signing on Monday. Plus, I’ve been in a reading rut—as evidenced by my huge lack of posts. Monday night’s Girls Gone Sci-Fi stop fixed that for me. I’ll have a big post about that on Monday though. When I went to the signing I had one book from each author on Kindle and had to buy “book 2” from each, with the exception of Lauren Miller—she signed my ARC of Parallel. So….I bought Unforgotten, the sequel to Unremembered, without having read book 1. 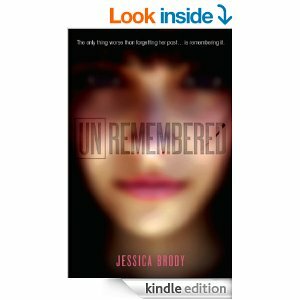 Jessica made the book sound super amazing when she talked about it, so I was immediately pumped to go home, grab my kindle, and dive in on Unremembered. In fact, when I got Unforgotten signed, she even made sure I had book 1 and I had to explain that it was on my kindle. Jessica was so sweet and also signed several Unremembered samplers for me to give to some of my students when I mentioned being a middle school librarian. Flash forward to getting home and grabbing my kindle—I can’t put this book down. Violet supposedly survived a plane crash, but she has no memories and isn’t on the plane’s manifest. Plus, she doesn’t come up on any government database when they run her fingerprints and DNA. I’m absolutely hooked and need to know what on earth is going on with this girl. On top of that–I already have book 2 waiting on me! I’m thankful that this tour gave me a reading excitement that I needed and I’m sincerely enjoying this book. Check back Monday when I post stories and pics from the Girls Gone Sci-Fi tour. This was my first author event to attend and I had a BLAST! I’ll definitely be attending more events at Lemuria in Jackson when they have authors that I enjoy—even if it is on a Monday night! I always see the dates of big tours and get bummed because they never end up coming to my area. Imagine my happiness when I saw Jackson, MS as the first date on this tour! I really enjoyed Parallel last year and I LOVED Time Between Us. I have been holding out on buying Time After Time, so I guess I’ll be buying it tomorrow to get signed since TBU is on my Kindle. Likewise, I actually haven’t read the Jessicas’ books, but I do already have them on my kindle. For signing purposes, I have one book from each on kindle and they have one other each that I don’t have, so I plan on getting those too. I’m so so excited for this tour and to meet these great authors! I’m hoping to get some great books to get out of my current reading rut. 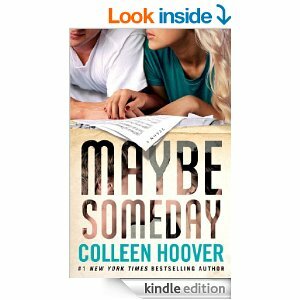 It isn’t a secret that I’m a big fan of Colleen Hoover. In fact, MS was released on Tuesday and I purposely waited until the weekend to buy it because I basically shut myself out of the world when I read her books. I’ve been in a reading rut lately, so I NEEDED this book in my life. The summary doesn’t do this book justice. Ridge is deaf. He’s a killer musician, but he’s deaf. That said, the dynamic of the relationship in this book is certainly different since the characters have to write to eat other. It wasn’t interesting seeing them interact and learn about his background even more. Like all of Hoover’s books, these characters are relatable and the reader begins to need to know what happens next. Another spoiler…not really, sorta? I’m not even DONE. I’m about 80% in and my kindle died, so there’s that. Regardless, I’m writing now because of that. My battery died and I seriously said, “ugh…NOOOOOOO” because I was so immersed in the ending that was coming up for these characters. Do I know how it ends? No. Will it be heartbreaking? Yes. This book is so different from her other books and I love it. Another plus of the e-version is that each song in the book includes a link to the website to listen to the song. The idea of the book having an actual soundtrack is so different. I’m thankful for Colleen’s creativity and for Griffin’s talent and drive to work with her on this project. Great collaboration—check out both the book and the soundtrack! I figure that I don’t have to post a summary/cover since I’ve already done that for the “currently reading” post. Anywho, I adored Cather and Levi! I’m a lover of realistic fiction, but I hate when it isn’t actually realistic. Cath felt like she could’ve just as easily been me. Her college experience was completely relatable and true to how many students go through college emotions and life. Some of the sections of her fanfic or Simon Snow were a bit long, but it did not take anything away if I skipped those parts. However, the fanfic was important to Cath’s character, so it was nice to have. I enjoyed seeing the growth between Cath and Wren. As well as through Cath, Raegan, and Levi. The character development in this book was absolutely on point! None of that instant bff or love nonsense we see too often these days. In whole, this was my first book to read from Rainbow Rowell, but it will not be my last!